Make every effort to supplement your faith with virtue, and virtue with knowledge, and knowledge with self-control, and self-control with steadfastness, and steadfastness with godliness, and godliness with brotherly affection, and brotherly affection with love. For if these qualities are yours and are increasing, they keep you from being ineffective or unfruitful in the knowledge of our Lord Jesus Christ (2 Peter 1:5-8). In January we get a window into two worlds—the pro-life movement during the March for Life, and the pro-abortion movement during the Women’s March. The differences are striking. The March for Life consists of people of all ages, who make clear by their signs, their songs, and their dispositions that they are for unborn children and women. Their message is generally positive—they do not wave signs or sing songs that insult or belittle pro-abortion activists. On the other hand, the pro-abortion movement is generally shrill, their signs and slogans vulgar, and their attitude often demeaning to those with whom they disagree. Unsurprisingly, few children participate in the Women’s March. Google pictures from both marches—you’ll see the difference immediately. The difference is powerful. I suspect that one reason—perhaps the main reason—why reporting on the March for Life is so scanty is that the basic goodness of the movement is evident, and therefore dangerous to those committed to abortion on demand. If pro-life activists were vulgar or mean-spirited, I think we’d see plenty of media coverage, as we do in the rare instances of violence among protesters at abortion clinics. And while the pro-life movement isn’t uniform, with a few descending to sloganeering and strident rhetoric, as a whole it is basically well-behaved—and good. Therein lies its power. For example, Abby Johnson, a former Planned Parenthood director who has become one of the most recognizable voices in the pro-life movement, testifies that the kindness and warmth of pro-life people she knew played a significant part in drawing her out of the world of abortion. It is no surprise, then, that the March for Life receives so little attention. The pro-life movement must strike an unlikely balance: It must be, and generally is, hard-nosed and good-natured. It must speak the truth in love. So the question becomes, how can the pro-life movement maintain its good-natured character? In the words of the Scripture quoted above, how can the movement continue to reflect faith, virtue, knowledge, steadfastness, self-control, affection, and love? The answer is both profound and surprisingly simple—and answered in the very next verse: For whoever lacks these qualities is so nearsighted that he is blind, having forgotten that he was cleansed from his former sins (2 Peter 1:9). Our ability to walk in basic goodness depends upon knowing that God is good, and that He has been good to us in Christ. The ability to extend grace depends upon knowing that we need grace, and that we have been granted grace. 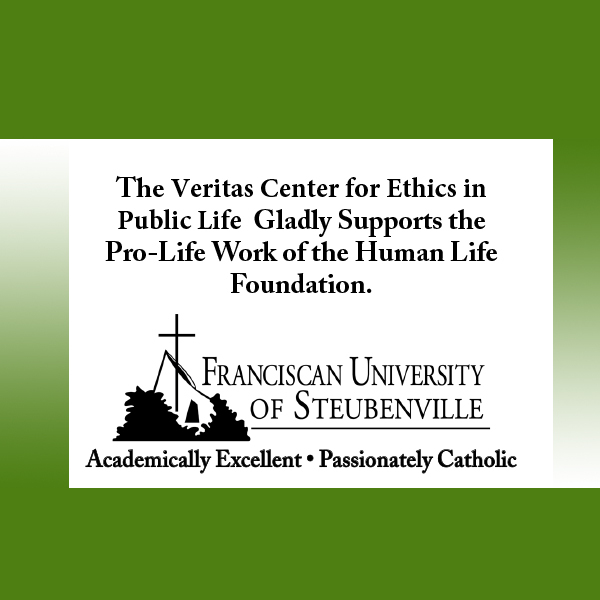 In other words, the key to effective pro-life witness is humility. The Christian gospel is very good news: that in Christ one can be both forgiven and cleansed from sin. The sins I commit, either by what I have done or what I have left undone, may be different from yours, but we all need God to forgive and cleanse us. I may or may not have had an abortion or directly participated in one, but there are plenty of ways I have preferred myself at my neighbor’s expense. Therefore I need God to do what I am unable to do—to forgive me and to cleanse me. As He does this, He teaches me to love. Because we learn to love by being loved. This accounts for the gladness and generosity of the pro-life movement, and its humility. Self-righteousness can’t exist in a heart that has received grace. It is impossible to look down upon another if one abides in the low place. The character of pro-life witness is not incidental to the cause of defending children and serving their mothers and fathers. Rather, it is the power behind that witness. Abortion won’t be eradicated though laws or courts, as important as it is to engage on those fronts. As many have said, in various ways, real progress will be made when abortion becomes not illegal but unthinkable. And that will happen through the workings of a glad and humble people who love their neighbors—the unborn and their parents, as well as those who oppose them by waving signs and chanting slogans and passing laws intended to silence their gracious witness.